(*) Since 2008 we use meteorologic data from our own meteorological station in Destnice near Saaz. 30-years average (1961 – 1990) according to Czech Hydrometeorological Institute is being used as long-term average. April was temperature-substandard and precipitation sum considerably exceeded the long-term average. The precipitation was equalized. During the month of April usual spring works such as hop-gardens preparation to cut, hop cut and wire stringing were executed. The cut was nearly finished by the end of month, wire stringing is being finished as well. Works have been carried out in a good quality. Hop is now in stage of emergence.The shoots lenght achieves 1 – 10 cm in average according to the cut term and above see level. 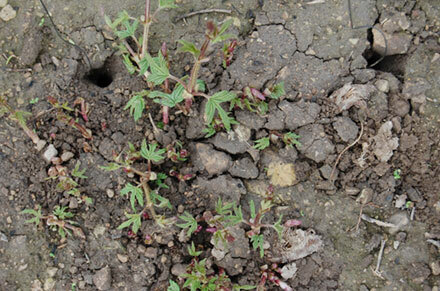 The enclosed photo taken on 30th April shows the typical hop-gardens state.